Welcome to spotlight pro custom figures part one. This time around we will be spotlighting some amazing custom figures from figure collectors around the world who's creations astound and inspires. First up is Sea's custom figures which are so adorable. 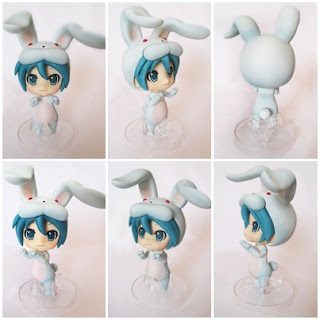 Gorgeous Custom Nendoroid Miku Hatsune Bunny!!! 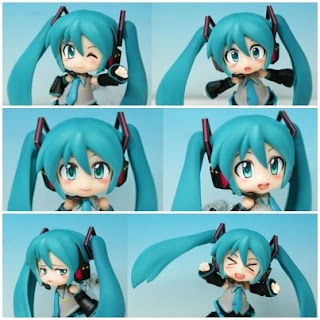 omg I wish they made a Nendo of this soo cute. Sea is a bit of a Miku fan and here is another great custom of her's. 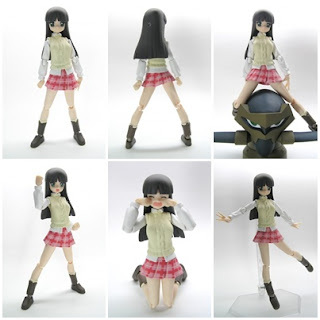 Next up is the really cool KT3 who also does some great Gundam work, but here is a cute little figma. 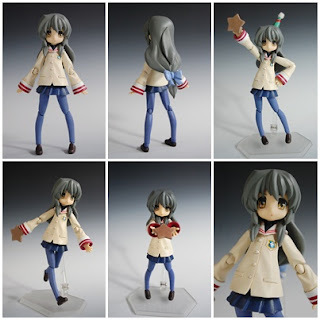 Custom Figma Fuko from the series Clannad, very cute and well made. You can check out KT3's work at hisblog. 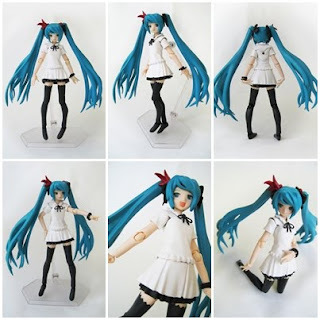 Moving along to some more cute custom Miku's are Minced's custom figures. 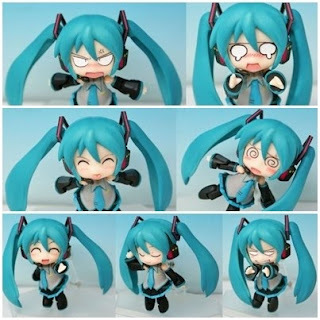 You may have seen his incredible custom Miku faces floating around the web, they are just so cute. 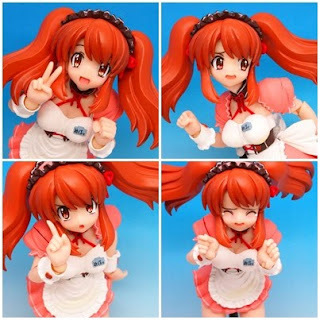 Minced also has some lovely Mikuru Asahina custom faces which are just as cute. So gorgeous. You can check out more of his work at his blog or on fg-site. 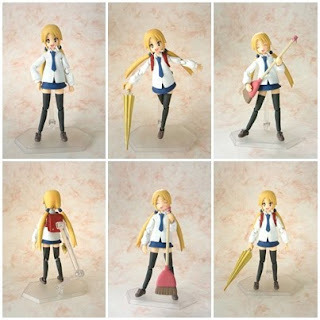 Myu Said also has a nice custom Figma of Chika Koizumi from the series Kyō no Go no Ni. A very cute figure indeed. You can check out more of his work at his blog or on fg-site. 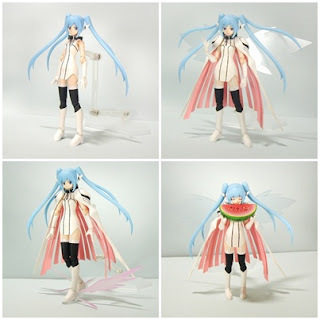 T-Keisuke also has some nice custom's which have been around the web a bit, here is my personal favourite Nymph from the series Sora no Otoshimono. You can check out more of his work on fg-site. 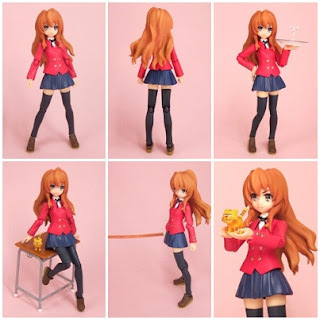 Then there is one of the many custom figures by Toro Chibi, Taiga Aisaka from the series Toradora! She is just so cute. You can check out more of his work at his blog. And last but not least the very nice custom Figma Arashi Shinozuka from the series Gad Guard. This is a very nice figure by Storm aki. You can check out more on fg-site. I hope you feel inspired by these figures, I sure was.